| Internal Medicine | Felix Cabrera, M.D. Dr. Felix Tudela Cabrera is GRMC’s Chief Medical Officer / Senior Vice-President. He is a son of the Marianas, having been born and raised on Saipan and now a practicing Internal Medicine Hospitalist on Guam. 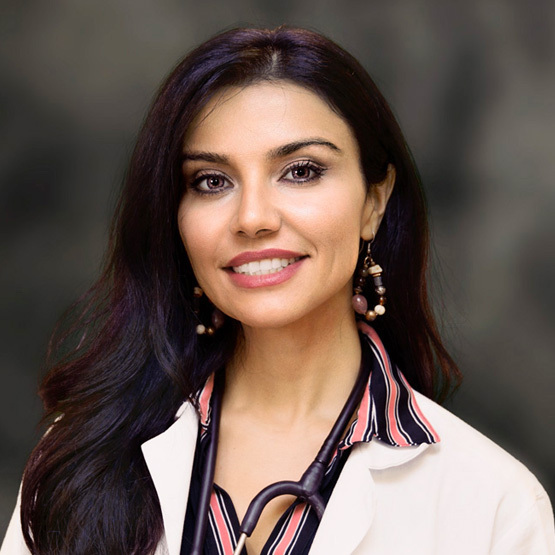 Dr. Cabrera graduated from the University of Washington with a Bachelor of Science degree in Medical Technology. He went on to earn his medical degree from the University of Washington School of Medicine in Seattle and completed his residency in internal medicine at the Yale-New Haven Hospital, Yale School of Medicine in Connecticut. 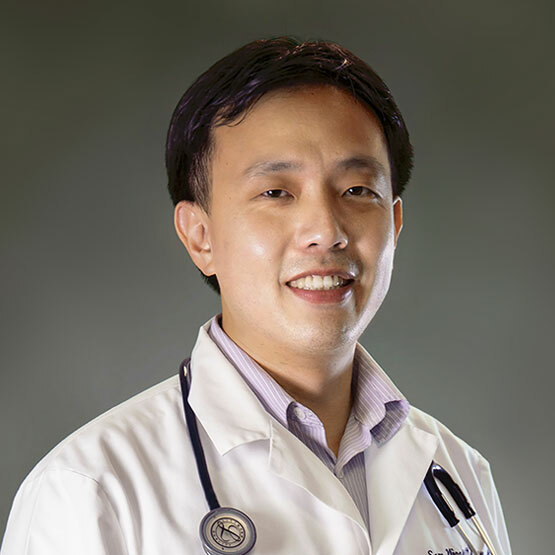 He is board certified by the American Board of Internal Medicine. He is also a member of the American College of Physicians and the Society of Hospital Medicine. Dr. Cabrera has practiced in the Marianas since 2011. 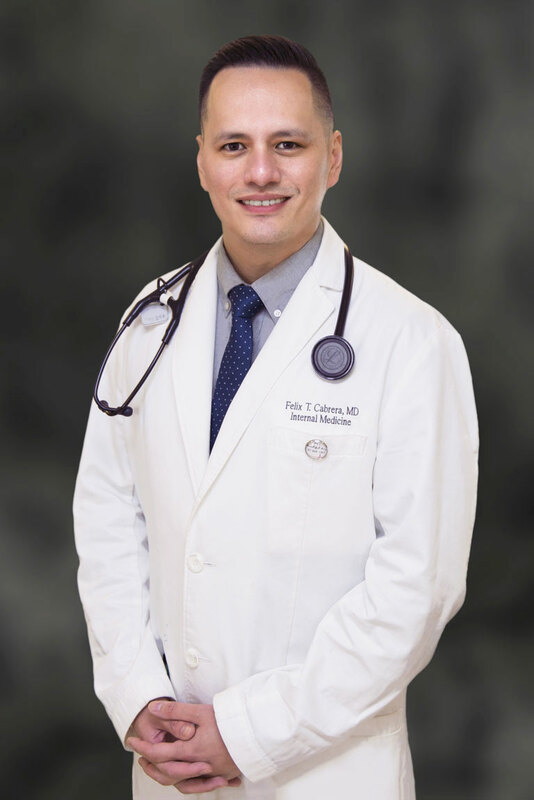 In addition to a primary care practice, he previously served as a hospitalist at Guam Memorial Hospital and eventually as the Associate Medical Director until 2014. He currently holds privileges at both GMH and GRMC. On occasion, he returns to Saipan to provide coverage as a locums. 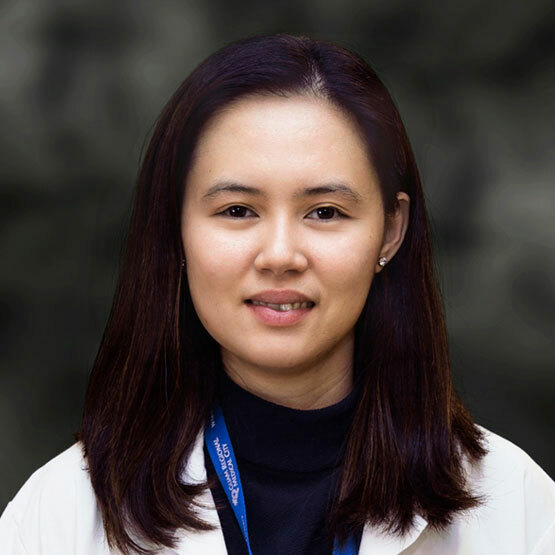 Some of Dr. Cabrera’s professional interest include teaching/mentoring future clinicians, medical informatics, implementation of evidence-based best practice models, physician well-being, geriatric care, community outreach and palliative care. More than medicine, he enjoys family time with his wife, daughter and two dogs.